I have highlighted cosplay before as a way to travel to new worlds. I really like looking into this even though I don’t really do cosplay myself. But I wanted to put some people in the spotlight who do an amazing job with it but hardly get the attention they deserve. So every month I will put one cosplayer in the spotlight. Together with the cosplayer I will select my/their favourite cosplay. Cosplayer of January: Holly Peppermint. I’ve been messing around with costumes all my life – when I was little there wasn’t a day when I wouldn’t dress up and let my overactive imagination take over. I originally heard about cosplay because my uncle John (Rebel Tiger) had been cosplaying at conventions for years and I always wanted to be like him. I had been dressing up as book characters like Hermione Granger and Nymphadora Tonks to midnight book and movie release parties for a long time, but my first official cosplay at a convention wasn’t until 2012. I chose to make Excella Gionne from Resident Evil 5 for New York Comic Con, and ever since then I’ve taught myself to sew and fabricate. I learn something new with each cosplay. 2. 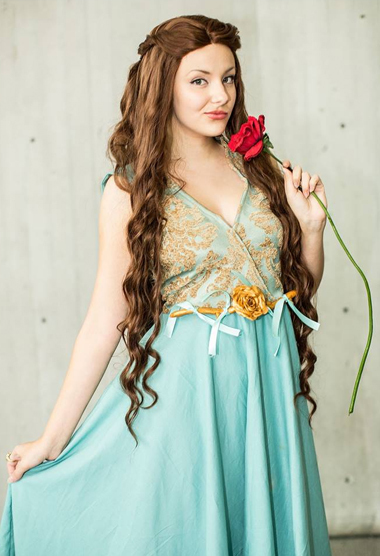 You told me that your cosplay of Margaery Tyrell was probably your favourite (I loooove this one too <3). Can you explain why it’s your favourite? Margaery was a costume that I challenged myself with, and also had a lot of fun wearing. I made her in about 3 days before this past New York Comic Con, and it was the first time I made a garment entirely out of my own patterns. It was a little scary not knowing how the costume would turn out until I put the whole thing on, but I’m very happy with how she ended up for a first try. I have a lot of great memories with that costume in the single day I wore her; that evening there was a Game of Thrones themed after party where Kristian Nairn (Hodor) DJ’ed, and I got to nervously ask Finn Jones (Loras) about his portrayal during a panel. 3. If you would have to pick between the following two, what would you choose: cosplaying at a convention or cosplay photoshoots? Cosplaying at a convention! I love the energy at cons, and my favourite thing is making friends with other people who share my interests. I’ve always said that in real life there’s this sort of awkwardness with making friends because you can’t immediately tell what someone likes, but at conventions it’s so much easier because most of the time they’re practically broadcasting it with fandom t-shirts and cosplays. I’ve met some pretty amazing and fun people at cons, I’d pick that option any day. 4. Is there a specific cosplay that is very high on your wishlist? I’ve been saying this since I was little and the Star Wars prequels had just come out, my biggest dream is to make Queen Amidala’s iconic “Red Invasion Gown”. I wore the children’s costume version of it for my Star Wars themed 6th birthday, and I think I owe it to my younger self to replicate a screen-accurate version. 5. What can we expect from you in 2016 cosplay wise? Hopefully some Star Wars and Tolkien/LOTR oriented costumes. I’m currently making Blondie for a Sucker Punch group with some friends and local cosplayers. 6. Is there any advice you want to give to (newbie) cosplayers? The one important thing I can say is don’t compare yourself to others. I started cosplaying to have fun, make friends, and have a creative outlet. It’s really easy to become discouraged if you find yourself looking at other people’s costumes and thinking “Wow that looks amazing, I shouldn’t even try.” Cosplay is about showing your love for your favourite characters, so don’t lose sight of what’s important! 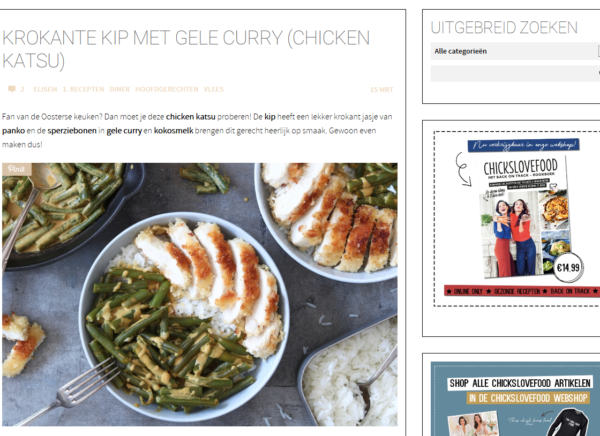 Thank you very much for being on the blog today Jamie! It was a pleasure having you. If you want to see more of her cosplays make sure to have a look at her Instagram.